Every morning, I'm awoken by a kiss. Not from Dave—from Sabrina. She leans over our bed and plants one on my mouth. And like Sleeping Beauty (or the frizzy-haired mom version thereof), my spell is broken and I rise. 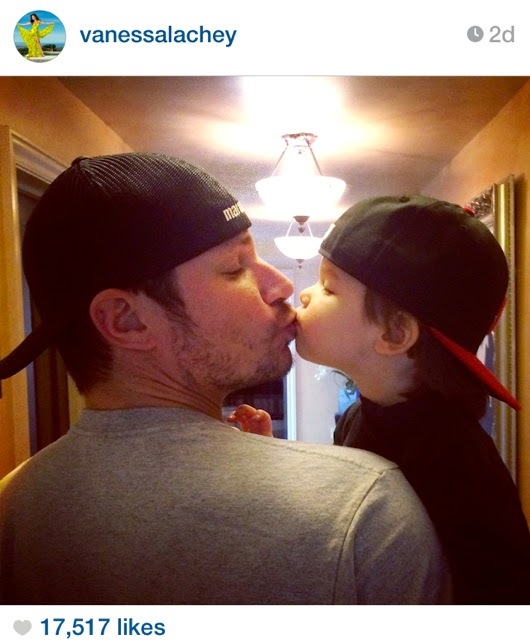 I am in good company, as I noticed the other day when Vanessa Lachey posted a photo on Instagram of husband Nick lip-kissing their two-year-old, Camden. Last year, Jessica Alba admitted to Redbook that she kisses her little girls on the mouth—and seemed surprised to learn that some parents don't do that. As she noted, "Really? Why?! It's your baby. People allow dogs to lick at their mouths." I didn't kiss my kids on their lips when they were infants: Tots haven't yet built up bacterial and immune defenses and are particularly vulnerable to nasties you can catch from germs in saliva including colds, the flu, cold sores and even cavities. Besides. Max has always been about cheek kisses, and one of Sabrina's first phrases was "NO TISSES!" ("NO KISSES!"). I had to beg or bribe her for smooches. But as she got older and more affectionate, she liked to kiss me on the lips. Quick, little, absolutely delicious pecks. We're a pretty kiss-y family, although Dave doesn't kiss the kids on the lips. (Neither one of us have parents who did.) Some people think dads doing that with older girls crosses the line, let alone adult ones. 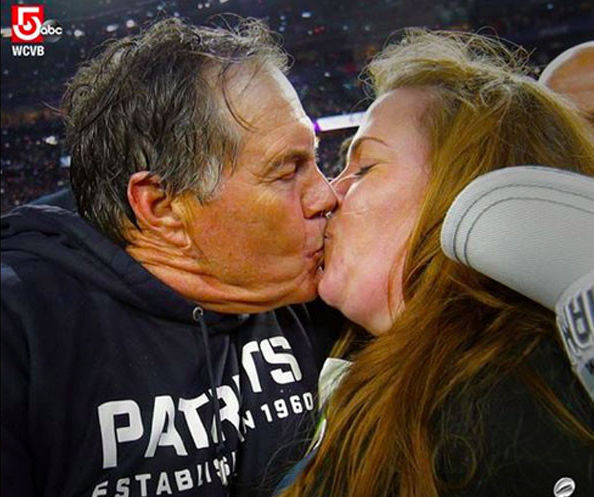 Earlier this month, when New England Patriots head coach Bill Belichik and his 30-year-old daughter Amanda locked lips after the Superbowl win, the Twitterverse exploded with people deeming it "super weird" and "creepy." My only thought was, I love that this big, burly tough guy isn't shy about showing the world how much he adores his daughter. Sometimes, common sense gets ahold of me—especially during cold and flu season—and I'll offer a cheek or head off Sabrina's lips and go for her forehead. Or I'll put a hand over her mouth and kiss my hand, which makes her giggle. Usually, though, I can't resist those kisses: the expectant look on her face when she puckers up, how she grasps both my cheeks with her hands, the tenderness of her little lips, the subsequent demand of "More!" I'm not going to apologize for this kissing habit. Childhood passes too quickly, and for me these kisses are one of its sweetest pleasures. If kissing my kid on the mouth is one of my worst crimes as a mom, I can live with that...and love it. 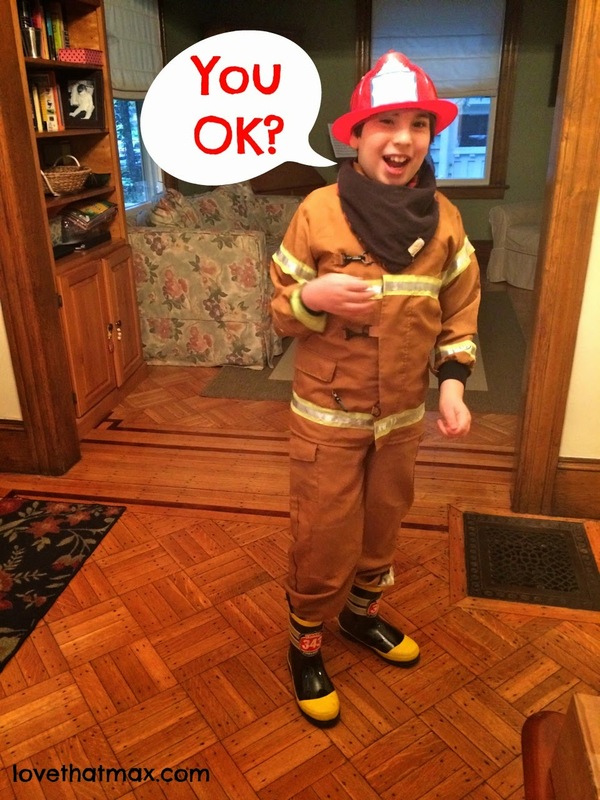 This guest post is from Gianna W., an awesome girl with cerebral palsy who, like Max, hopes to be a firefighter when she grows up and regularly hangs at her local fire station. 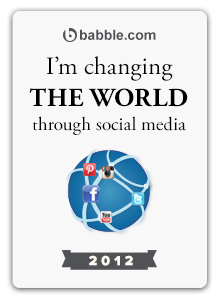 Gianna blogs at Friends of Gianna. Fireman Max thinks she is very cool. 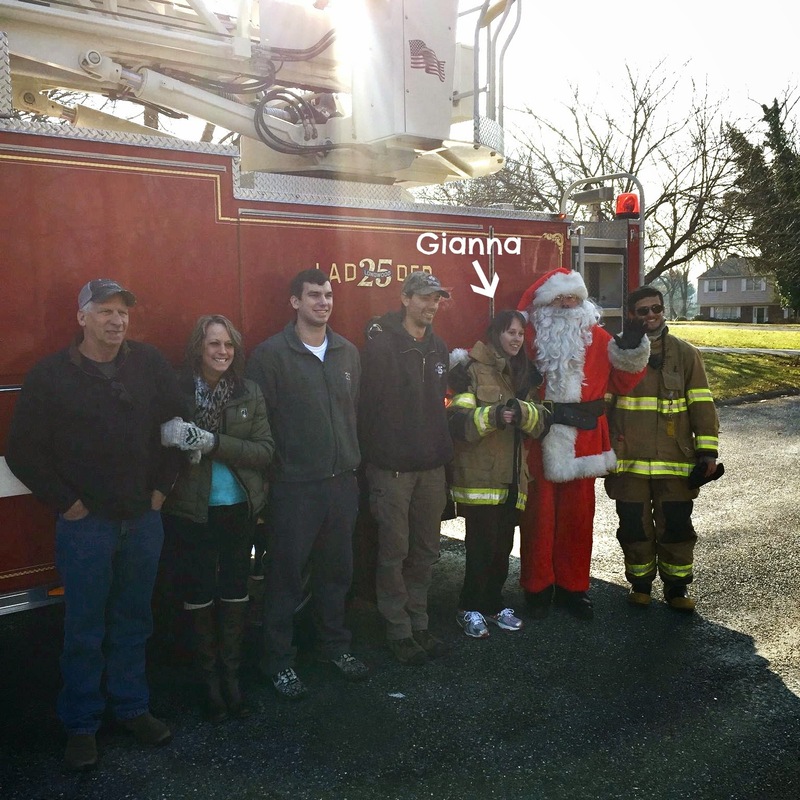 I'm Gianna W, a firefighter, blogger, and a survivor for many of my battles. When I was little, I had many medical issues. I was born a preemie. I spent my first 4 years having one medical challenge after another which brought on many hospital visits. I have cerebral palsy, GI issues, blood circulation issues, learning issues, and the list goes on. I do online school, because my mom says I'm medically home-bound. I'm in the 7th grade. I love drawing, PE and writing long stories. 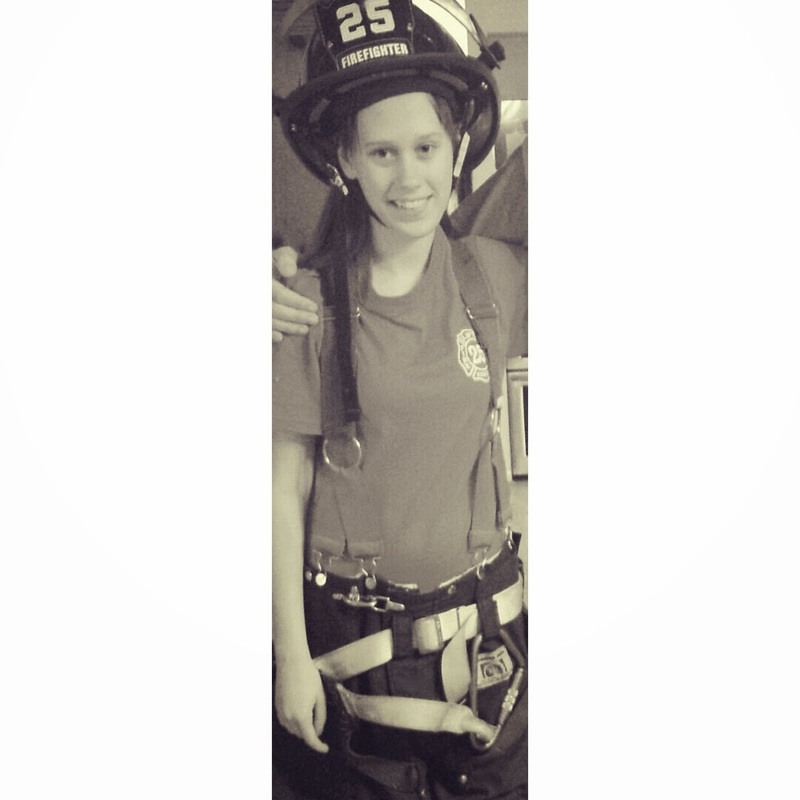 I got interested in being a firefighter in 2013. In the summer months of 2013, I had lots of seizures again, and two fire departments took care of me back and forth. I visited them when I was seizure-free, got a few of their shirts and a picture with the crew. I then got a tour of their station, and I fell in love! Being a firefighter is cool. 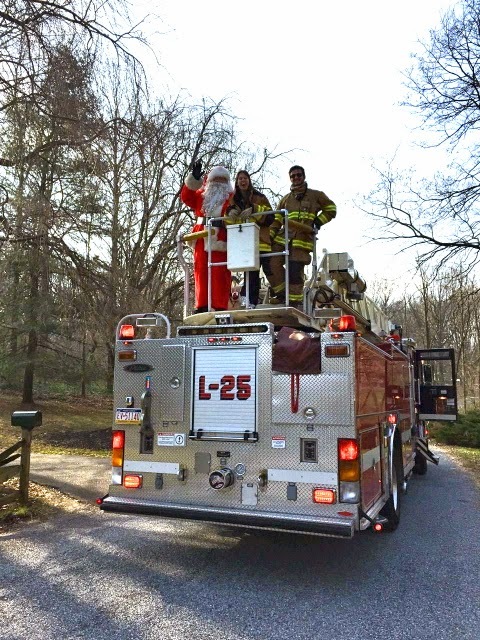 I was able to have a 4-5 hour firetruck ride, get my own turnout—protective wear of the body and legs—that has all my firehouse brothers and sisters names on it, and make lots of friends. Trust me, the pants and turnout feel like 200 pounds. It takes a while to get used to. In my free time I study my radio codes, ambulance codes, and assessments. For example, 10-4 means Message Received, and 10-13 means Trooper Down. In my other spare time I squish my dog, dress him up with my fire station shirts and pretend to do surgery on him with non-rebreather mask and my real medical supplies. I believe children like me with CP and other disabilities can be firefighters because they can learn social skills, make friends, be in some action, join the "brotherhood/sisterhood" and they could maybe save one of their family members lives one day. Max is a pretty determined kid. When he's psyched about something, whether it's a Chicago fire truck video or a big bowl of chocolate ice-cream, he'll keep at it, surfing YouTube and doing his best to grasp a spoon. 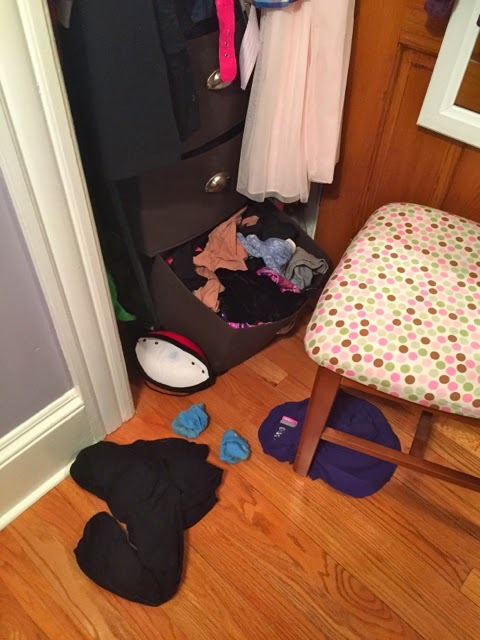 But physical tasks can be a real challenge—and when you are used to Mom and Dad doing stuff for you, at times it can seem easier to expend your energy on persuading them to take over so you don't have to do it. In other words, Max is fond of playing mind games when it comes to his independence. This is very much the case with drinking from a cup. (We're still working on straw sipping although there's been progress, video coming soon!) Grasping a cup with two hands, raising it to his mouth, tilting it and swallowing without buckets of liquid streaming down takes a fair amount of fine-motor and oral-motor coordination. There are times during meals when Max points to the cup and gives me or Dave a look that says, "Come on, no big deal, you hold it for me." Of course, he does not do this at school, where he traditionally does things independently even as he keeps expecting us to enable him at home. This happened with toilet training, and earlier on, with eating. I'll never forget how years ago, when we were constantly spoon-feeding Max, I stopped by his class one day and there he sat, happily shoveling food into his mouth. What?! "How long has he been doing that?" I asked the teacher, who said it had been happening for as long as she could remember. The other wily thing Max does is that when he is drinking by himself at home, he doesn't like me to see him doing it—cause then I will realize he actually is capable. I caught him in the act in the photo above, and he was peeved. The cup Max uses is the Ergonomic Nosey Cup. "No!" he'll often say when I pull one out of the cupboard, because he knows that I'm making it easier for him and he won't have a strong case for getting me to help. I'll pour the milk or juice, say "Fine, Max, if you don't want to have a drink, don't have a drink" and then I'll leave the room. Once he's sure I'm out of eyesight, he'll pick up the cup and drink. Yesterday, we had a homework stand-off over a fill-in-the-blank word worksheet. For months now we have been using an amazing app, SnapType, that enables you to snap a photo of a document with your iPad or iPhone, then type text onto the image. (I bought the pro upgrade for $2.99, which lets you save a bunch of documents.) Only Max decided he wanted to hand-write answers. His penmanship is still in the early stages, and it rivals doctors' in terms of legibility. "You sure you don't want to use SnapType?" I asked, and he was quite sure. 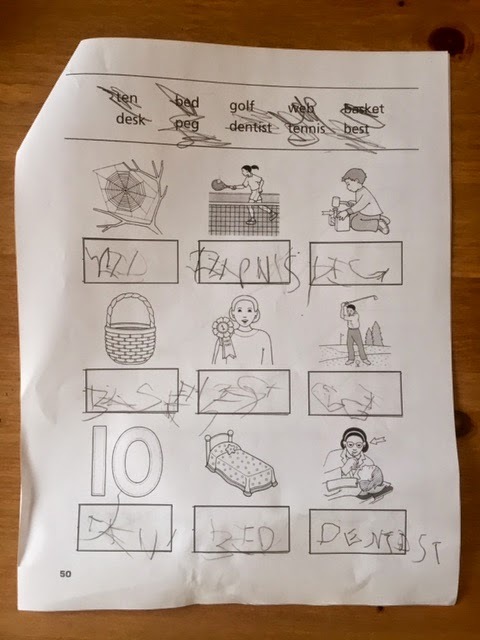 Halfway through the page, when we got to a longer word ("basket"), Max decided he'd done enough and tried to hand the pencil to me. "Nope," I said. "You're doing it. Do you want to switch over to SnapType?" "Max, finish it. Just one more word!" A tear rolled down his face. Melt went my heart. I desperately wish these tasks, ones that most of us take for granted, weren't so difficult for him. I'm not going to do them for him when I know he's capable—but when he reaches a point of frustration, I have to give in...a little. "OK, we'll do it together," I said, and hand-over-hand, we did. My kids fight, like most any siblings do. It sometimes surprises people who, for some reason, think Max's disabilities would get in the way of annoying his sister, staking his territory, swiping her stuff or just bugging her for the sake of bugging her. Or that Sabrina would show him any mercy because of his special needs—as if. But when they're affectionate with each other, it makes me happy like few things do in this world. For one, it's a reminder that they actually can and do adore each other, sibling rivalry and "Ewww, Max, you smell!" comments aside. For another, Sabrina is the one who'll be there for Max when Dave and I are gone, and it's heartening to see her loving on him. I never know when or why some major show of sweetness will happen. The other night, out of the blue, Max asked if Sabrina would snuggle with him. So she crawled into bed next to him. I went out of the room to get water and when I came back, they were both giggling away. Then I gave them "tennis kisses" (lobbing my head back and forth between their cheeks) and they thought that was hysterical. Then Max wanted Sabrina to stay and sleep there. She winked at me, code for, "I'll be here till he falls asleep." Max generally dozes off before she does. So I turned out the lights and there was more giggling. A few minutes later, I heard Max snoring lightly and Sabrina tip-toed out. Last night, Max was headed to bed and Sabrina was waiting for me and Dave to tuck her in. Max walked into her room, gave her a big kiss and said, "Good night!" And that's when it dawned on me: As the years pass, Max is going to be there for Sabrina, too. The Special Needs Blogger Weekend Link-up: Welcome! 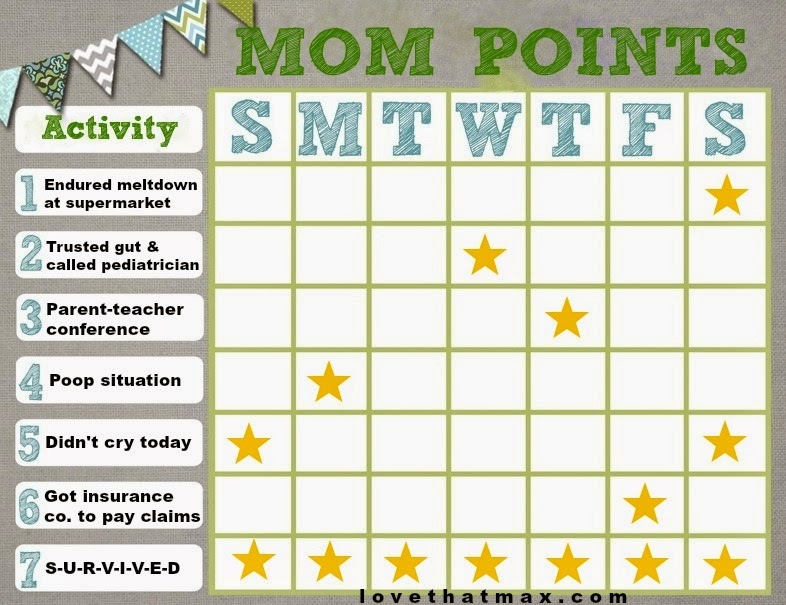 I have this mom points system in which I give myself points for doing outstanding things. Like staying up all night with a puking child. Or hosting a sleepover for ten girls. Or figuring out how to put together a toy with 157 parts. 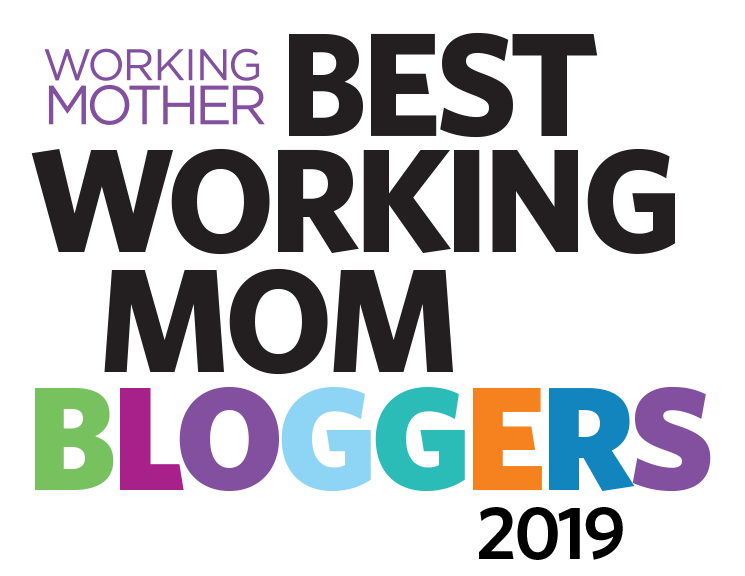 For sure, most any mom deserves mom points, though I regularly award myself extra ones for special needs parenting situations. Successfully getting the insurance company to pay for claims: big points. Acing the IEP: major points. Weathering Max's obsessions: points up the wazoo. I've had this system for years. Sadly, there is no way to cash in points for valuable prizes like a trip to Tahiti. Nor do I have a bulletin board in the house with a chart where I give myself little gold stars. No, the mom points are all in my head—ones I dole out when I have displayed extreme patience, smarts, fortitude or endurance and nobody is giving me props for it but...me. This is not to be confused with my partner points system, in which I mentally rack up points for picking up Dave's socks off the bedroom floor, remembering to enroll our children in school for the following year, keeping our family well stocked in Funyuns and being the only person in our relationship to notice that the kitchen floor hasn't been mopped in two weeks. So here's what's earning me an astounding volume of mom points lately. It started with Max watching YouTube videos of fire trucks around the country. Sometimes, I could tune out the sounds if I was focused on something else. Sometimes, we plugged in his headphones. But lately, Max doesn't just want to watch fire trucks. He wants to imitate their sounds, with bonus horn beeps thrown in. And there is no turning down his volume. Putting up with this is worth a least a kajillion mom points, I think. So, for what do you deserve mom points? Share here, and they will be awarded to you by...karma. Max really enjoys eating (chip off the old block!) and I've been hoping to introduce him to the wonders of sandwiches. But I've been hesitant, too. Since he has issues with oral-motor control, chewy and chunky foods pose a choking hazard, as they do for a young child. Our weekend speech therapist sometimes does eating sessions with Max and gives him thin strips of a cheese sandwich, placing them on his back molar to he can best chew them. I've tried that successfully. I just wasn't sure whether Max was up for eating or holding an actual sandwich. But he's been chewing stuff better lately and grasping things better, too. So Monday, when we all had the day off, I decided the time had come for The Eating of the Sandwich. It was also not snowing outside for once and in the back of my head I thought, If he chokes and I need to call an ambulance, it will be able to get here. I realize that may seem like extreme anxiety but this is a kid who has been known to gag on water. 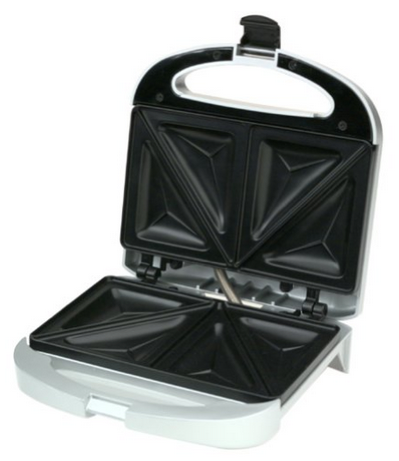 My dad used to make us delicious toasted cheese sandwiches using a contraption that looked like this Toas-Tite, which he'd hold over a gas flame. Oh, how I adored those sandwiches, and the fact that he made them for me. We have the modern-day equivalent, the Cuisinart Dual-Sandwich Nonstick Electric Grill, and sandwiches come out nice and soft. I cut off the crusts from two slices of bread, slathered on olive oil on one side, added two slices of cheese, closed the sandwich, plopped it into a slot, shut the top and toasted away. It only takes about three minutes. "We're going to take very little bite," I said to Max. "OK?" Once the sandwich cooled, I cut one side in half and handed a quarter to Max. Holding it was a bit awkward but he got it into his mouth. I watched, nervously. "Little bites! Little bites!" I reminded him. He took a baby bite, chewed and said, and I quote, "Ah!" Grilled cheese sandwich chewing success!!! Where's the Food Network show for that?! Max ate two quarters and decided that was enough, which was fine with me because I was more than happy to polish off the other half. It was a milestone for him. And a parenting one for me, because it is so nice to introduce your kids to the pleasures of your own childhood. 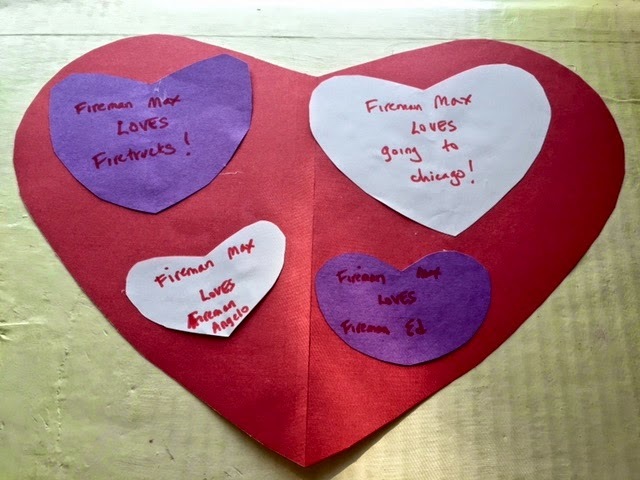 Valentine's Day, Max was filled with love...for firefighters. I'd been pysched when he woke up and told me he wanted to make a card, only it turned out he wanted to make it for Firefighter Angelo, his bff at our local station. Max's speech therapist showed up later that day, with a plan to make cards. Once again, Max wanted to declare his love for firefighters (this time, Ed, too). And fire trucks. Oh, and Chicago. Hey, I'm not taking this personally. I appreciated this armchair-shrink comment from a Facebook reader: "Well, his firefighter love is, in a way, an extension of your love for him and his for you. It's what gives him the opportunity to explore and enjoy his love of all things firefighter." Dave: "Max, who do you love more—Daddy or Fireman Angelo?" I am so not going there. 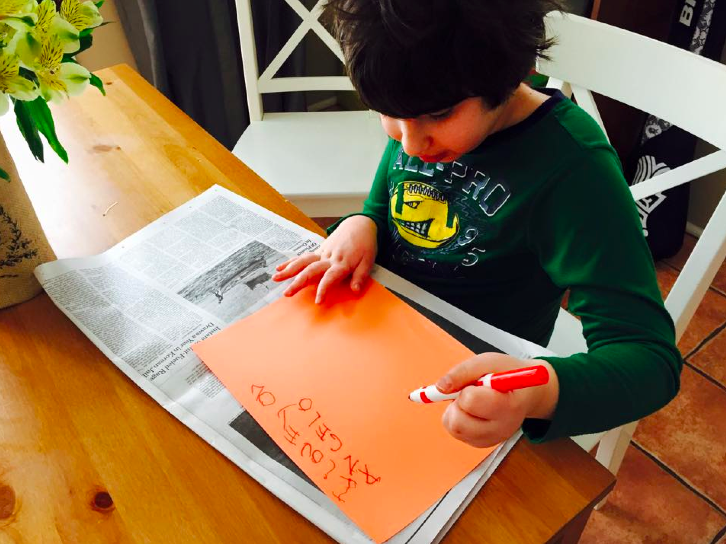 Max does a weekly current events report for his class. 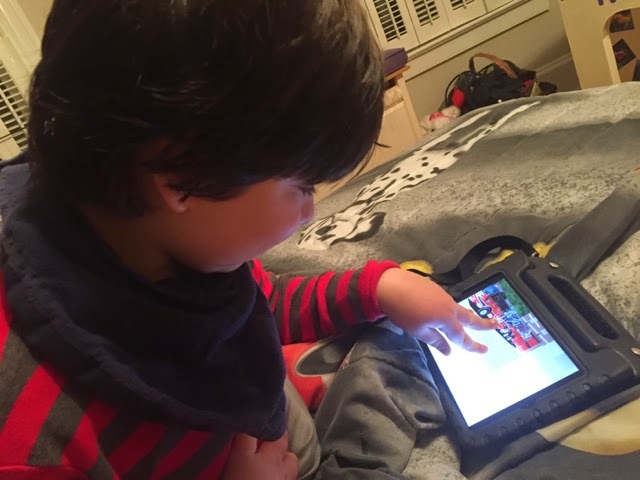 He chooses the site (usually DOGONews or Tween Tribune) and the article, then fills out information on his iPad including the main idea, what he thought of it and what he learned. The report is due on Friday and we usually start it Wednesday. Because I work in an office and commute home during weekdays, we don't sit down to do homework until 7. Max looks forward to this assignment every week. But sometimes, he gets stuck trying to describe the main idea of the piece. Last night, he picked an amusing story about the trend of pet owners marrying their dogs (fur real—with ceremonies, flowers, music and all). Requisite cute photo above because...dogs. Do you think she got her outfit from Rent the Runway? Max couldn't pinpoint the gist of the story. He wanted me to help him but, no. He sat for 10 minutes, maybe more, finger posed over the iPad, just not sure what to type. I asked some leading questions. Still, he didn't type. He tried the cute approach, in which he puts one finger to his chin and goes "Hmmm...." He knows it cracks me up every time and sure enough, it did—but I still wouldn't give him the answer. "Tomorrow!" he said, hopefully. As in, we can finish this up tomorrow. Which was true, but we were nearly done and I thought it was best for him to just do it. Sabrina is fond of the "tomorrow" approach as well, and it doesn't work for her, either. "Battery!" he said, noting that the battery on the iPad was down to 14 percent. "There's still enough battery to finish up," I reassured him, and he looked very disappointed. Then he put his hands to his eyes. Tired, he was saying. I'm sooooo tired. But I knew what he was really tired of was figuring out the answer. I would not give in. Finally, five minutes later he typed out "Dogs get married," which was fine. Sometimes, Max is all too happy too let me enable him. Which is part of my job description—just not when it comes to doing his homework for him. If he doesn't learn to think things through now, if I'm always jumping in to rescue him, then independence will be even more of a struggle as he grows up. Perfection is overrated: That's one thing you learn as a special needs parent. More recently, I have learned that it can also make you want to run screaming down the hallways of your home. This is because Max has developed A Thing for getting the fire truck photo that's his iPad's wallpaper positioned just so. (It's a pic of his favorite truck, Ladder 31.) I am not quite sure how or why the photo changes during the day but every single night, before we read books at bedtime, Max will happily sit and arrange and rearrange the image again and again and again (and: again). After about 10 minutes or so, I will literally have to tear the iPad out of his hands. "It's perfect!" I'll say, imploringly. "No!" Max will respond, and then he'll weasel another few minutes out of me to get the image the way he wants it. I can think of approximately a bazillion better activities, but this seems to comfort him so I let it go. I once read that it's good to let toddlers choose their clothing because they have little control over their environment and it empowers them. Perhaps this is true of Max: There are bodily movements he can't control, but since this is one he can it makes him feel good. At least this is what I'm tell myself when I just can't bear to watch him zooming that photo around on the screen anymore and I have to leave the room. Max isn't very nitpicky in other parts of his life. I mean, yes, he never leaves the dining room table without pushing in his chair (a lovely habit that the rest of our family could bear to pick up); he regularly re-adjusts his ever-present Fire Chief hat; he occasionally insists things be spelled all in capital letters; and if you call him "Max" he will shake his head and correct you with "Fireman Max!" In general, though, he's a pretty easygoing kid who doesn't sweat the small stuff. Max used to just drag the photo around the screen and repeatedly center it. But last night, I saw something new: He took two fingers and spread them to made the image larger. This is an iManeuver most of us wouldn't think twice about, but it's not in Max's usual repertoire of finger movement, thankyouverymuch cerebral palsy. "Hey, how'd you learn to do that?" I asked, astounded. "I taught him!" shouted Sabrina, from her bedroom. So I was giddy. Wow. Cool that he can do that. Then I realized that this now means Max will be able to obsess even more about that image. I was so excited to take Max to the cerebral palsy specialist the other week. Yet I was dreading the visit, too. Because the doctor works at the hospital where Max was born, I haven't been back since, and the hospital has loomed large in the parts of my heart and mind where the grief resides. I can vividly picture the NICU: Max in a glass incubator connected to various wires, the preemie next to him whose heartbeat was visible beneath his translucent skin, the sprawling nurse's station, the lactation room, the conference room where the doctors told us that Max had a bilateral stroke. I've thought about going back to the hospital by myself to help control the residual grief—if I saw it once again in a clear state of mind, I've reasoned, perhaps it would have less of a stronghold on my emotions. But I never did go and now, I had no choice. 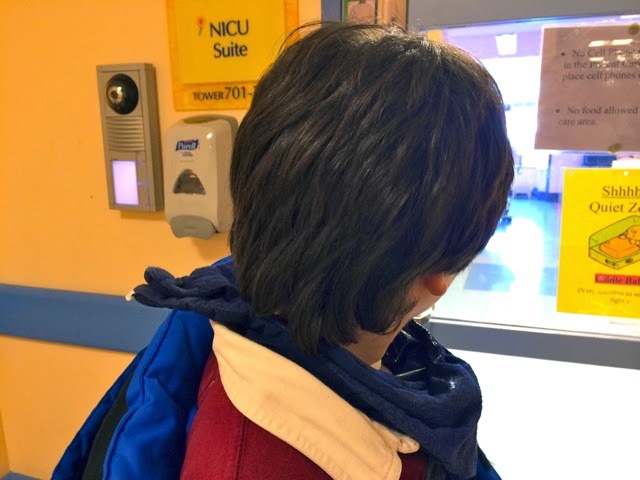 I wasn't sure we'd even be able to get to the NICU, yet it was easy enough: After the doctor appointment Max and I took an elevator to the one I found out was upstairs and wandered around the open areas. I spotted a door to the NICU Suite, which looked somewhat familiar. "I think that's it," I said, and a lump rose in my throat. Max and I hovered outside, peering through the glass. He knew the appointment was at the hospital where he was born, and all week long he'd been saying he wanted to see "his" crib. As we stood there I explained to him that he was in the NICU after he was born because he was sick, but then he got better. There was a baby in an incubator directly in front of us. Max wanted to know where the mommy and daddy were. I said the doctors were taking care of the baby, because he was sick, and the mommy and daddy would be back soon. Surprisingly, I didn't feel freaked out or sad as we spoke, probably because I was focused on Max and watching him take it all in. I thought, If I could have known back then how he'd turn out, I would have been OK. But of course, you don't know. I tried to locate the lactation room where I used to pump milk. But the one we found wasn't mine; it had new furniture. The one I'd been in had an old big white fridge and an ancient tan pleather chair that gave me comfort because I was able to sit there and do something that was good for Max, at a time when I otherwise felt powerless. Then we looked for the conference room. I wasn't sure that was a good idea, but I couldn't help myself. It was the most mundane looking place where our lives were forever changed with one sentence: "Your baby has had a stroke." We went from parents who knew something mysterious had happened to our baby to parents who had an infant with brain damage. The pediatric neurologist sitting across from Dave and me, flanked by two colleagues, somberly telling us that Max might never walk or talk and could have severe cognitive impairment. The pediatric neurologist somberly telling us we could sign a Do Not Resuscitate if we wanted to. I couldn't find the conference room, either, which is when I started wondering if we were in the wrong NICU. Finally, I asked a nurse where the NICU was with the big open nursing station. I explained that Max had been born there in 2002, and we wanted to see it. She told me this was a new wing, and that the NICU where Max had been was in another part of the hospital...and it had been converted to doctor offices. The NICU of my nightmares was gone. I could never visit it and get the closure I'd had in mind. But that seemed OK. The NICU had evolved, and so had I. That mom in the NICU, the utterly despondent one who cried for hours as she stared at her unconscious baby in the incubator, was a long time gone. The doom-and-gloom predictions about Max: They didn't come true. All those dreams for Max's future that I thought I lost when he was born had been replaced by other dreams. And replaced, most of all, by Max. This bright, curious, cheerful, sweetheart of a boy walking through the corridors with me, looking around, asking questions. So full of life and hope and promise and love and oh my heart. The grief I feel from Max's birth is still there but it will surely continue to dissolve, the pain softened by the passage of time and Max's progress. The NICU suite, the lactation room, the conference room: They will loom a little less larger in my mind, because now I have a new vision of the hospital. I didn't need to return to the hospital alone to exorcise the demons. I needed to go with Max. I walked out the lobby doors with Max's hand in mine, and I left that hospital behind. THUNK! The sound came out of Dave's bathroom this weekend while he was showering; he'd dropped the soap. "You OK?" Max asked, standing outside the door. "Yes!" Dave said, and I smiled. "You OK?" is my new favorite question. Max has gotten to be pretty intuitive about when I'm upset or stressed; he knows when I could use a kiss. He's concerned about other people, too. If he's at a program and a kid is upset, he'll pat his back. The empathy's been a long time coming: Up until a few years ago, Max was pretty me-centric, and I worried it was because he needs—and gets—so much attention. 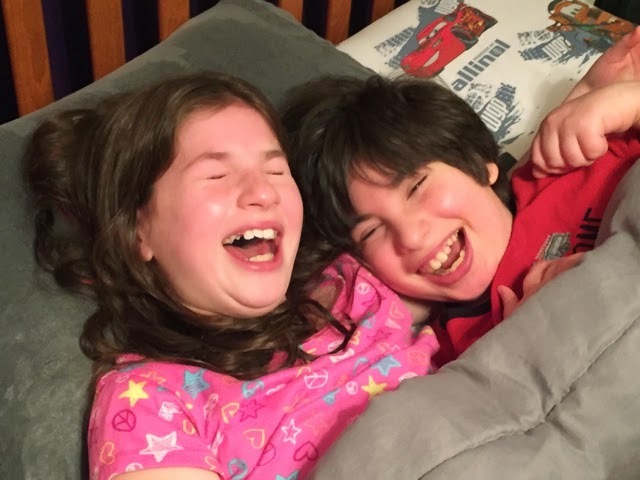 It's one challenge raising a kid with special needs: You don't want them to feel like they are the center of your universe except, yeah, a lot of times they are the center of your universe. But I also think Max was expending a whole lot of mental and physical energy just existing, and maybe there wasn't a whole lot of him to give back. He asks Sabrina, too. She had a meltdown last night because she broke a lava lamp she recently got as a birthday present. "YOU OK?" he asked, a little more loudly. Max's speech therapist is psyched because she's been working on the "k" sound with him, so all the "You OKs?" are good practice. Me, I'm psyched because Max wants to make sure we're all OK.
A video of a 13-year-old Toronto girl singing All of Me has gone viral. This is because she's singing with real heart and because she's able to sing, period. Madison Tevlin has Down syndrome. People with DS can have speech and language challenges; memorizing does not come easy. They also, as Madison's vocal coach Marla Joy noted, may have "low, monotone, gruffy voices." One study published in Down Syndrome Research and Practice noted that few people with Down syndrome can sing at all. The majority of comments on YouTube were complimentary, encouraging and supportive. Parents of kids with special needs found Madison inspiring. "My daughter also has Down syndrome, she just turned 1 last week," wrote one Stephen Ferguson. "When I see beautiful, talented young women like Madison, it gives me so much hope for the future!" Inevitably, the ignorati critiqued Madison's singing. "I'm not going to cater to her because she has a disability," noted one commenter. "I understand it was hard for her to do, but that doesn't make it good." 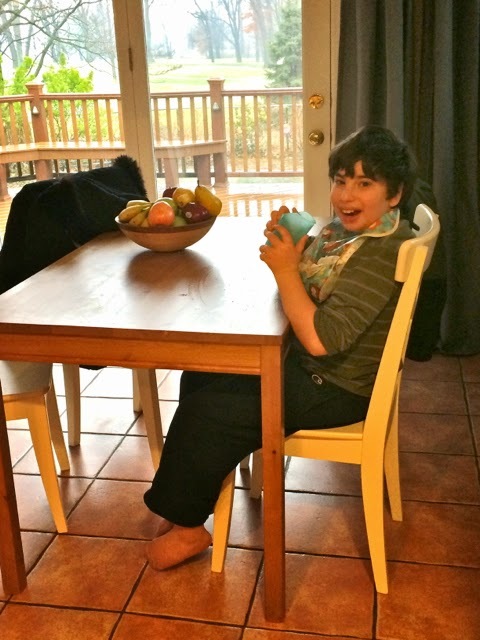 Mused another, "Why are we treating her differently just because she's got down syndrome?" News flash: This isn't American Idol. It didn't seem like Madison or her family set out to snag a Grammy. And besides, it's entirely small-minded to judge a girl with Down syndrome by mainstream standards. Kids and teens with special needs do things in their own unique way. Madison put real feeling into the song and made it hers. She gave it personality. Her voice sounded sweet and pure. She sang in rhythm, clearly proud of herself. What kind of pitiful person would take this teen down? Forget whether or not she's totally in tune. Love her perfect imperfections or leave her alone. So, yes, Madison gets props because she is a person with Down syndrome singing like this—and also because she clearly has abilities. If people can't find the beauty in her singing or get what makes it so great, well, then, their mindset is off-key. The other day I took Max to see a cerebral palsy specialist, Joseph P. Dutkowsky, MD, at Columbia University. Dr. D., as he refers to himself, is the Associate Medical Director of the Weinberg Family Cerebral Palsy Center, amongst other impressive titles. He is an orthopedic surgeon but he has a big-picture overview of kids and adults with CP, as he's spent his career working with them. 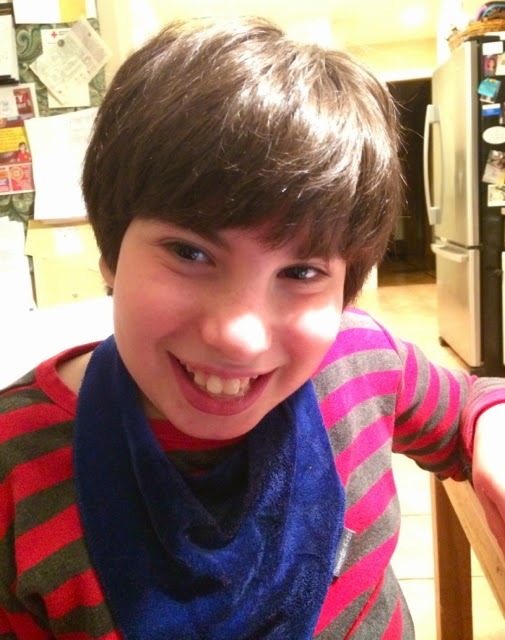 A mother of a girl with CP and advocate I met through social media, Michele Shusterman at CP Daily Living, had recommended him (and for that, I am forever grateful). Dr. D. is a remarkably personable doc. Forget bedside manner—he was funny, charming with Max, and charmed by him. Max told him about his upcoming trip to Chicago, and proudly showed him the posts he's written here. Dr. D. called up the images taken of Max's brain when he was several old; I'd brought the discs. He glanced at the images and said to Max, "Let's have some fun!" Then he showed him where his eyeballs were on the scan. Max wanted to know why he had no hair. Dr. D. used a word I'd never heard before, "regrooving," a term he coined. As in, Max's brain had formed new pathways around the damaged areas—so that even if the original "insult" hasn't healed, other parts of the brain were compensating. He thought Max had done some major regrooving. "He walks beautifully," he said. He was impressed by his reading, including the fact that he was able to see the tiny type on my iPhone. He felt Max's muscles and was surprised that they didn't seem so stiff at all. He said he didn't present as having four-quad spastic CP, since he didn't detect hyperreflexia and clonus in him (involuntary muscle contractions and relaxations). 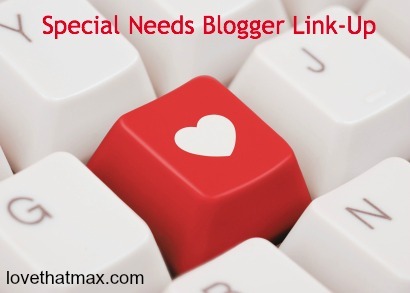 Max's nonstandard pattern of movement is more asymmetrical mixed quadriplegic CP—but as he noted, "Since this sounds rather unhelpful, with a child like Max I just rely on descriptions, not terms." That goes right along with what Max's pediatric neurologist has always told us: Look at what he's doing, not at his medical records. Dr. D. pointed out that Max didn't have a whole lot of awareness of his right hand, which therapists tend to describe as his "helper" hand. This has to do with the damage in the parietal lobe, which control's self recognition or whether you're aware of what is part of you. 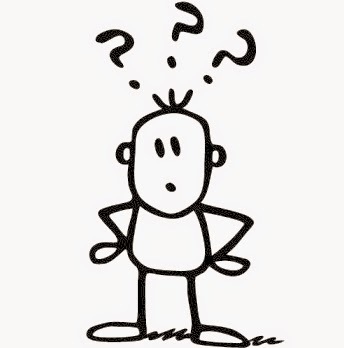 I wondered about how much Max's physical abilities would improve—whether he might gain more flexibility in his arms, whether his fingers would be more agile, whether his oral motor function (speech, eating, chewing, swallowing) would improve. "I have no reason to suggest that Max has plateaued," he said. Dr. D. couldn't give an answer, because no doctor can. In some ways the brain is still a mystery, even to the best experts. As the doctor noted in a followup email, "To what age can uninjured parts of the brain keep on compensating for damage? How much? For what functions? these questions are up for grabs and are why we need the National Institutes of Health to take CP seriously and give it the research funding compensatory to the nearly one million citizens with CP in the U.S. It's time." During the visit, Dr. D. asked about Max's eyesight. It's normal now, but as a baby his focus was slow to come in. I can still remember bending down to say hello to him in his stroller. "Max! Max!" I'd say and I'd get sad that he wasn't able to look at my face, although I knew he heard me because he'd smile. He also had a habit of staring straight into the hatlights of our living room ceiling. That's a sign of Cortical Visual Impairment (CVI), which came up during our visit. 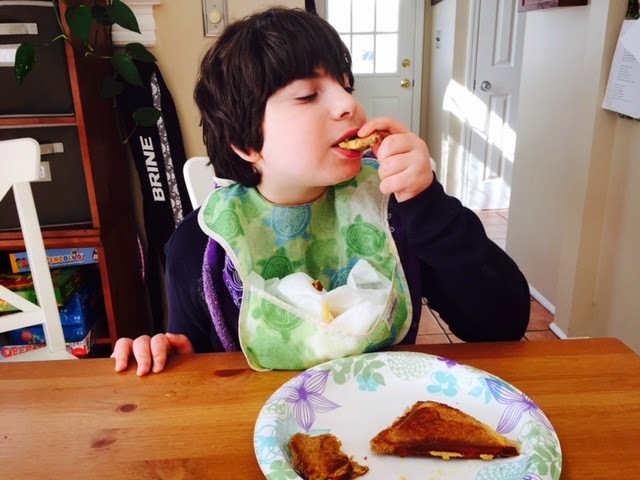 CVI doesn't have to do with eyesight but, rather, how the brain processes what the eye takes in, and is common in kids with cerebral palsy. (CP Daily Living has an excellent series and resources on CVI.). This might explain why math presents a major challenge to Max, since sorting visual information (say, stacked numbers in addition) is difficult. 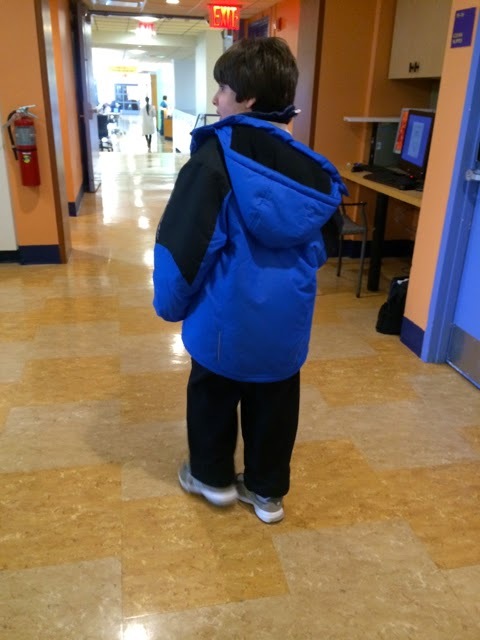 Dr. D. recommended he get evaluated by a teacher of the visually impaired, as part of his IEP. I took this in pretty calmly. If Max does have CVI, then we'll better understand how to teach him, guide his therapy and organize his environment so his brain can more efficiently process what his eyes are seeing. 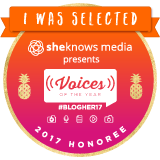 Being on a high from the regrooving talk also helped buffer the mention of CVI. On some level, I don't need a doctor to tell me how well Max is doing, because we were told the worst when he was born. Once your baseline expectations for your child are at rock bottom, there's nowhere to go but up. But really, it is cartwheel-inducing when a doctor says your child is doing well. I'm sharing all this not just to raise awareness about CVI or because I'm happy (SO happy) about the regrooving, but also because I wish I'd heard more about brain plasticity when Max was a tot and I was at my most anxious about him. 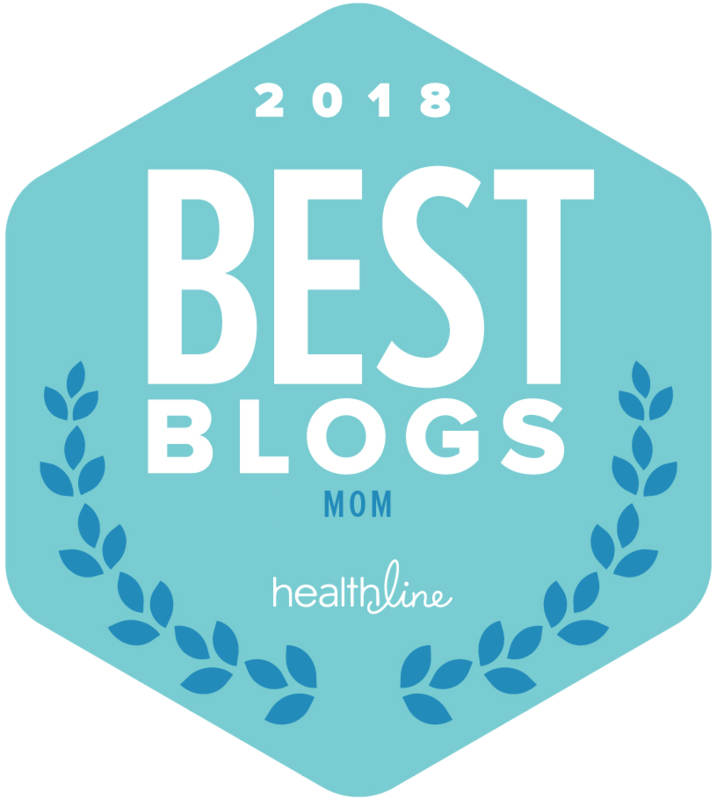 When Max was two years old, we discussed the possibility with his pediatric neurologist of getting a followup MRI to the one he'd had in the NICU. And we decided: What was that point? If the results didn't show much change in his brain since the stroke, then we'd get depressed. And if the results did show that cells were springing up around the damaged areas, like green grass cropping up after a long, gray winter, well, then, it wouldn't have told us much we didn't already know about Max's functioning. He's never had another MRI in his life. I am an optimistic person by nature, but the NICU doctors left me feeling bleak about Max's future. My main source of hope was hearing about older kids who'd had strokes and cerebral palsy and other special needs who were doing OK for themselves. I needed real-life proof of the brain's potential to regenerate. I needed to believe. Now that Max is that older kid doing OK for himself—a kid who is very regroovy—I hope he gives parents out there the hope I once desperately sought. The song came on the radio as I drove to Max's school the other afternoon to pick him; he had an appointment with a cerebral palsy specialist. I was a bit nervous—you never know how those big-deal doctor visits will go. Plus (major plus), this doc is at the hospital where Max was born. Over the years, I've considered going back to exorcise the grief demons, but have never made it there. Back to the song, which is about a guy asking a father for his daughter's hand in marriage. I'm pretty familiar with the lyrics, particularly the line "Why you gotta be so rude?" Sabrina is fond of singing it to me when I ask her to get off her computer and go to sleep, because I'm obnoxious that way. The refrain stuck in my head. 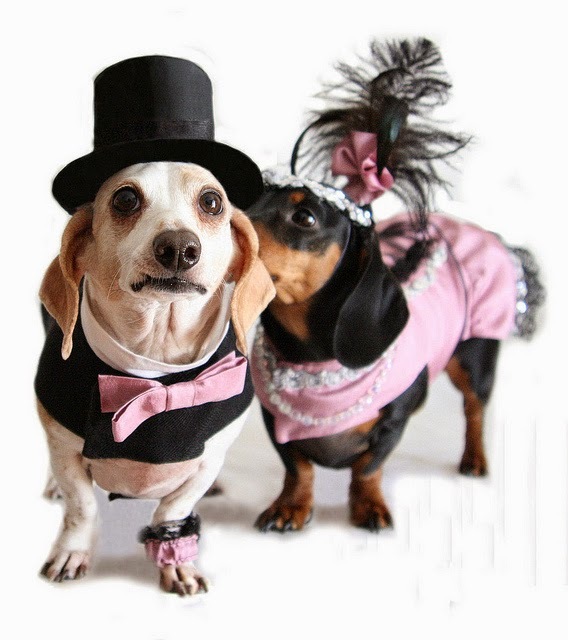 I wondered whether Max might someday get married. It never does me any good to try to see into his future and sure enough, tears started rolling down my cheeks. I've had the marriage question on my mind lately, as I'm planning Max's bar mitzvah. Another mom of a kid with disabilities mentioned that she and her husband had gone all out for their son's bar mitzvah because they considered it his wedding celebration, too, the wedding he'd never have. 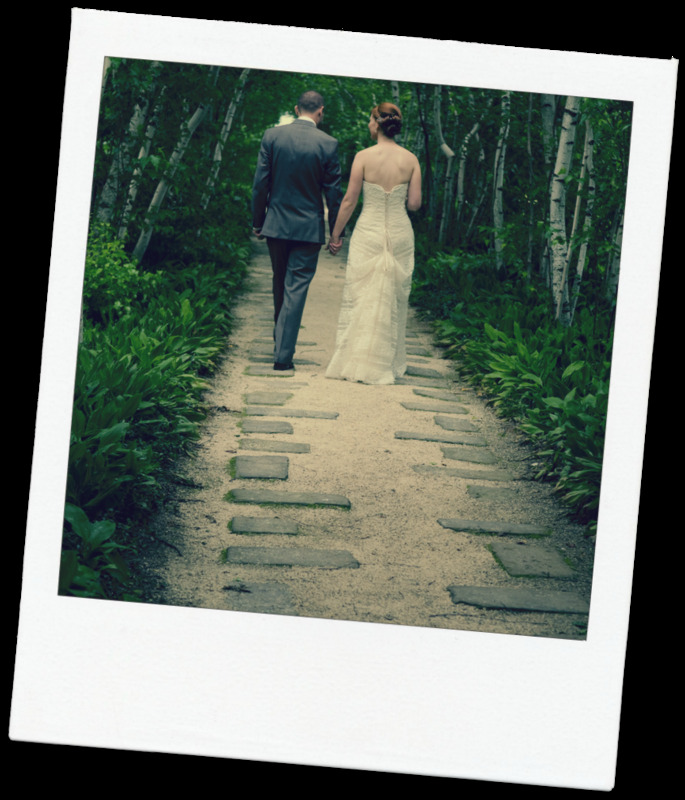 As I've been speaking with potential photographers and DJs, I've come close to saying the same to help impress upon them just how special we want the event to be for Max. But I've refrained. It's too distressing to say, let alone ponder. The rational part of me that knows full well Max will be happy with whatever the future brings, whether or not that involves a relationship. He is still getting a handle on what the whole marriage thing means. When I ask if he'd like to get married someday, like Mommy and Daddy, Max says, "No, fireman!" (As in, I want to be a fireman.) When I note that firefighters can get married, he says he wants to live only in a firehouse, seemingly ruling out a scene of domestic bliss. The other day, he told me that he'd like me to have another baby, and he wants to name it "Angelo" (after his favorite firefighter). And then, he informed me that he'd like Angelo to be the father. Trying hard not to crack up, I said, "Mommy is already married to Daddy." That gave him pause, but only a little. We keep it lighthearted. But when it comes to that "Will he or won't he" marriage question, it's hard on my heart. So I drove and cried. I wasn't thinking about particulars, like how the logistics of his relationship would pan out. I was caught up in a nebulous worry vortex. Then Pretty Young Thing by Michael Jackson came on the radio and more tears fell because Michael Jackson is DEAD and worse, I felt OLD since PYT came out when I was a teen. I pulled up to Max's school, composed myself and went inside. He was at the door to greet me with his wonderful teacher, Linda. We walked over to a display to check out a cool mask Max had made as he went to get his stuff. Then she told me what had happened the other week. When Max gets to school on Monday mornings, Linda likes to ask if he missed her over the weekend and Max always says, "Yes!" Except when she asked the last time, Max said "No!" and laughed. He was teasing her. Linda laughed, Max cackled and the two of us giggled all the way to the car. As we headed to the doctor's appointment, 40 minutes away, Max and I had a nice chat. We talked about (what else) his March trip to Chicago with Dave. We went through a list of his favorite things (food: mac 'n cheese; sport: bowling; color: red; movie: Planes Fire & Rescue). He pointed out BMWs we passed, his favorite car. I thought back to the first few years of Max's life when I'd drive him around. Oh, how I ached to hear him babbling in the back seat. I wanted some sign, any sign, that he someday might have speech. I'd talk to him, sing to him, turn around at stop lights and try to coax "Mama" out of him. Once, when he was two years old, I heard a few sounds—what, I don't recall, but I was elated. That was it, though: He never again babbled in the car during his babyhood. It was the loudest silence I'd ever known. And here we were, having a conversation. Many times, Max's past, future and present converge on me. Always, it's Max who yanks my mind back from the precipice to the present, his absolutely amazing present. I'd first seen the commercial a couple of days ago, on Disability Scoop. Part of me wished it weren't such a big McDeal. Grace Ramsburg, 8, and her family happened to be at the restaurant because families of kids with special needs eat out, as families do. Grace has a great smile, just like kids in ads tend to have. She belonged in that commercial, right along with all the other customers psyched about getting some free McD's. But the reality is, it's still rare for kids with disabilities to appear in television ads, let alone ones airing on the biggest TV night of the year. Like many parents of kids with special needs, I long to see them included in every aspect of life—commercials and all. Companies have been using cute kids in ads since forever. Why shouldn't they include cute kids with disabilities? Why shouldn't it be the norm? I had inclusion on the brain as I watched that Uptown Funk dance video that went viral last week, the one choreographed by teacher Scot Pankey of A. Maceo Smith New Tech High School in Dallas. He roped in his theater classes to do a choreographed version of the Mark Ronson and Bruno Mars hit. "You have to see the teen around minute 2:00," a friend had told me. 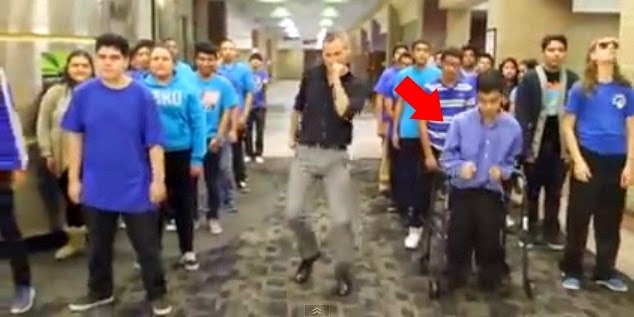 And yes, there he was at minute 1:48, a student using a walker to the right of Pankey. He's at minute 4:13, too. This teen is getting down like every other student. He wasn't called out in any special way, the school didn't issue a press release saying "There's a teen in a walker in the video!" and the media didn't pick up on it, although I know other parents of kids with special needs who noticed him. This is inclusion as I dream of it: an ordinary, organic thing. Someday, I hope it will no longer make headlines when kids with special needs appear in ads, because that would mean it's completely typical.